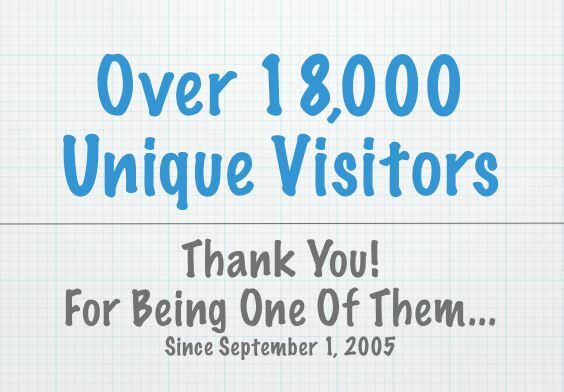 Today, DigElogROCORI had its 18,000th visitor view this on-line video magazine since September 1st, 2005. That's an average of 51 Unique Visitors each day for 352 consecutive days. Unique visitors are counted based on daily visits by unique individual computer IP addresses to www.DigElogROCORI.com. If one visitor views 4 or 5 DigElogROCORI stories, they are still counted as one (1) unique visitor during that entire day.